Addiction treatment should always include numerous new and innovative programs and methods. While psychotherapy is always an effective method, other programs should come into play in a treatment plan. Morningside Recovery takes a holistic approach to treatment to help our clients find sobriety while also rediscovering themselves. Participating in healing arts for addiction is a great way for our clients to find healing. Our Morningside Recovery staff is full of passionate and knowledgeable individuals that work hard to provide creative and effective programs. 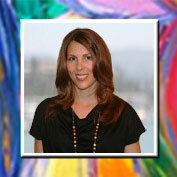 Kristi Englesby is an artist and therapeutic arts facilitator from Orange County, California. Art-making and the process critique that follows helps to create a creative structure for clients. Kristi has training in the arts and certifications in the use of the Art4Healing modality of therapeutic arts facilitation. Her curriculum numerous influences of this intuitive approach to fine art-making. Any individuals wanting to reach self-discovery can utilize the workshops. With firsthand experience in overcoming addiction, Kristi understands the dilemma many recovery clients face. The sudden feeling of emotions that words can’t seem to identify can be scary, overwhelming, and at times, frustrating. She specifically tailors her curriculum to give voice to these buried feelings. Art projects serve as a catalyst for introspection, while reflection and peer support are encouraged during the process critique. Clients and students that participate in the therapeutic art workshops Kristi leads will work with a number of media including paint, ink, clay, collage, and sculpture. This variety is well-suited to provide alternative avenues of self-expression that stretch beyond the limits of verbal communication. Clients are introduced to a new language to voice their emotions, expressing themselves intuitively with color, brush stroke, and line quality. Participants are expertly guided and challenged to look within themselves for answers that lead to greater understanding of self through the creative process and visual application. Kristi has been the lead facilitator for the Morningside Recovery Therapeutic Arts program since May of 2010. She delights in witnessing the amazing amount of insight, discovery, and happiness that clients experience each week as they make personal gains during the artistic process. Kristi firmly believes that art heals. Kristi holds both a Bachelor of Fine Art in Studio Art and in Art History from Chapman University. She also has a certificate through the Drug and Alcohol Counseling Studies program at InterCoast Colleges. Finally, she holds a certificate in Therapeutic Arts Facilitation from Chapman University’s extended education program. Are you ready to find lasting sobriety? Learn more about healing arts for addiction by calling Morningside Recovery at 855-631-2135 today. Find out how we can help you begin to make better choices, every day.